With an economy in tatters and public discontent rising, desperate times for al-Bashir call for desperate measures. But what will they beIf anyone needed confirmation that President Omar al-Bashir’s regime, which has ruled Sudan since 1989, is not ageing gracefully, the last two weeks have said it all. While al-Bashir and his entourage seem likely to pull through this time, with hundreds of killed and injured protesters, maybe more than a thousand civilians taken into custody, and no convincing strategy in sight, the writing is on the wall. What remains to been seen is how much damage the regime is willing to cause and what, if anything, is prepared to take its place. The roots of the current protests lie in decades of mismanagement and, ultimately, the secession of South Sudan. With South Sudan’s independence, the government in Khartoum lost three quarters of its oil production and, after several military confrontations with its new neighbour, had to give up a large share of the transit fees for southern oil too. Sudan spends almost a quarter of its GDP on its military and waging several internal wars. With its well of oil money running dry, a military caste unwilling to accept any cuts to its budgets, and few foreign allies willing to pick up the tab, the regime had to look for something to cut. The regime identified one of the other large drains on the budget as a target for austerity measures: the fuel subsidy. Without much of an announcement, this subsidy was cut, nearly doubling the price at the pump and, by extension, public transport fares and prices of essential items such as cooking oil. What followed has been well-documented: protests erupted in Khartoum and other cities all over the country. The interesting part, however, is not that protests happened – that much was to be expected and was probably also anticipated by the regime. What warrants special attention is the regime’s reaction once these protests turned out to be harder to manage than anticipated. A long-term resident of the capital, who asked to remain anonymous, told Think Africa Press by phone that usually, “protests are tolerated in Khartoum”. While riot police accompanies demonstrations, a hands-off policy is practised in most situations. But with some demonstrators targeting petrol stations and setting cars and other private property on fire, this time the government reacted. The source thinks that the security services went from house to house because they were under pressure to make arrests after protesters had destroyed petrol stations and private property in the preceding days. But the heavy-handed methods actually contributed to the subsequent escalation of protests. Some of the people killed were not protesters, but bystanders and this likely contributed to the protests' make-up extending beyond “usual suspects” of students and political activists. All told, sources in Sudan estimated that between 200 and 300 people were killed in the protests across the country, most from the lethal use of live ammunition by security forces. International human rights organisations put the figure at between 150 and 250 killed and hundreds more wounded. Around 1,000 people have been imprisoned and the turnout for major demonstrations went into the thousands. It is thought that these were the largest protests since the 1985 revolution, four years before Bashir came to power. It is understandable that parts of the ruling elite are getting nervous. Much of the violence witnessed over the last days can be attributed to the overreaction of a regime with increasingly limited options. The economy is in tatters and there is no obvious solution for reviving it: cutting military expenditure would undermine one of the regime’s last pillars of support, while increasing taxes or further reducing subsidies will only serve to increase public unrest. To not do anything is not an option, because the country is in debt and neither traditional allies such as China and Iran, nor international institutions such as the IMF or the World Bank are likely to give a helping hand under present circumstances. This week, Qatar pledged $1 billion to Sudan in support, but this is no long-term solution. But the bloodshed on the streets of Khartoum and other Sudanese cities is a clear indication that the regime is employing extreme measures to stay in power. And this could have devastating consequences not only for Sudan, but for the wider region. According to the World Tribune, the Sudanese government has gone on a military shopping spree over the last months, expanding its arsenal of fighter aircraft, helicopter gunships and artillery in large deals with Belarus, Russia and Libya. It has also further invested in military bases and is extending runways in the southern part of the country. One theory for this military build-up is that the Sudanese government is preparing for war with South Sudan. On the face of it, going to war with South Sudan would be illogical. It would be disastrous for an economy still largely dependent on the Southern oil that flows through its pipelines; it would alienate Western institutions or governments; and it would not play well with the Chinese, who have a large stake in South Sudanese oil, or with regional players such as Ethiopia, Kenya or Uganda. But on the other hand, the regime could see an escalation of hostilities as a last resort; providing the people with a common enemy is a time-tested strategy to increase domestic support for unpopular regimes. 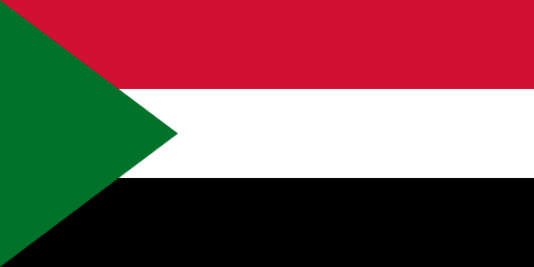 To forestall such a turn of events, civil society and opposition as well as open-minded sections of Sudan's ruling classes should make it clear that going to war will only increase their opposition to the regime, while the international community should emphasise that any attempt at regional destabilisation will be met with harsh sanctions. But perhaps more importantly, actors hoping for change in Sudan should also reach out to those parts of the ruling class that are willing to initiate long-term reform. Sudan is unlikely to be able to master its problems alone and will need support in the form of debt relief, economic aid and regional cooperation. This long-term change is unlikely to be initiated without, at least tacit, approval of regime insiders. Sudan’s opposition is too divided and, in large parts, not nearly credible enough to completely replace current institutions. Al-Bashir has proven that he possesses incredible staying power, but his end could bear much resemblance to his ascent: at some point, public discontent may force parts of the regime to open a new chapter of Sudanese history by showing al-Bashir the door – which may open to International Criminal Court at The Hague. This story was originally published by Think Africa Press. "Humanitäre Versorgung wird im Sudan als Kriegsmittel eingesetzt"
Most Eritreans understand the horrors that await them as they travel to seek refuge. What are the coping mechanisms developed in response?